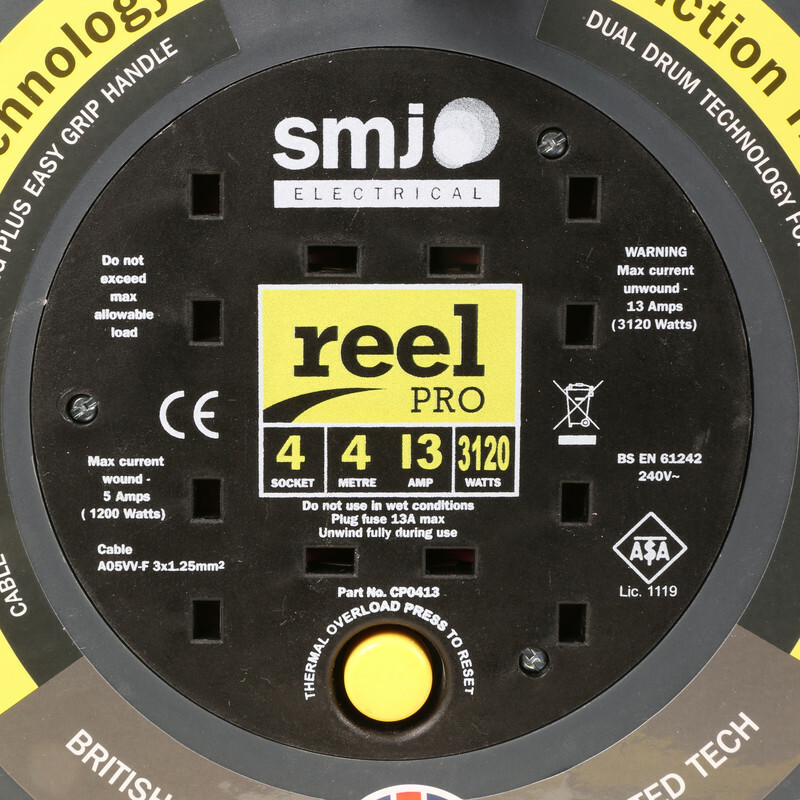 Patented technology ensures friction free winding for ease of use. Compact design is easily transportable, ideal for laptop and travel cases. 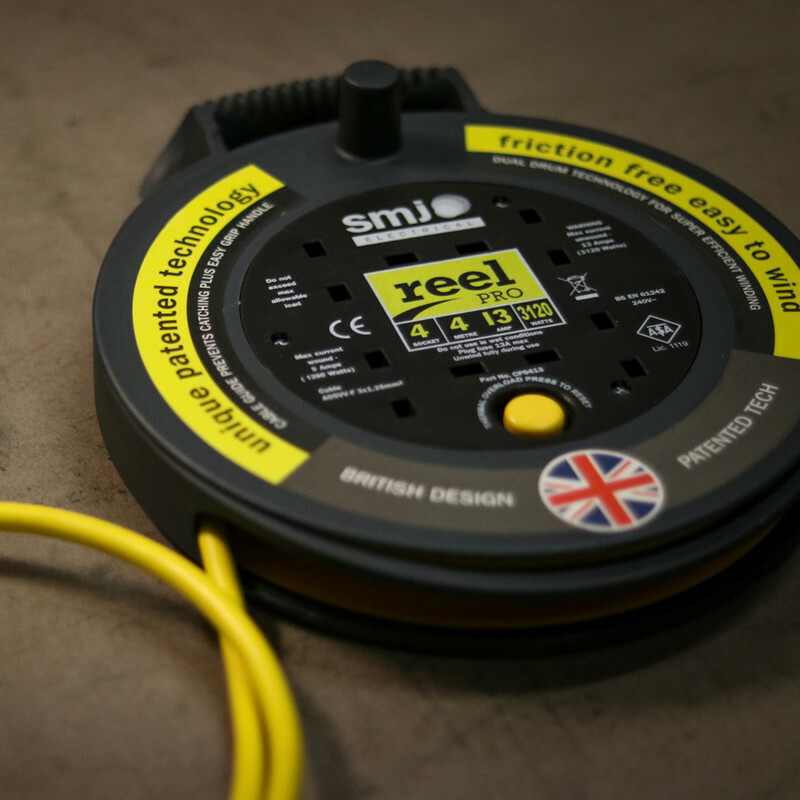 Made from tough resilient plastic and fitted with a thermal cut out. 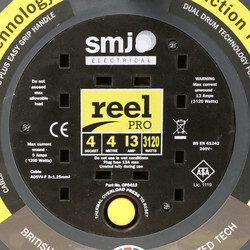 SMJ Reel Pro 4 Socket 13A Cable Reel 4m 240V is rated 4.7 out of 5 by 10. Rated 5 out of 5 by Chris B 1234 from Very slim and very easy to wind in. Really please with these, I bought two and they are so compact compared to my previous 20m cables. The case is very slim and it winds in faultlessly every time. Rated 4 out of 5 by Phlexx from Good product overall. 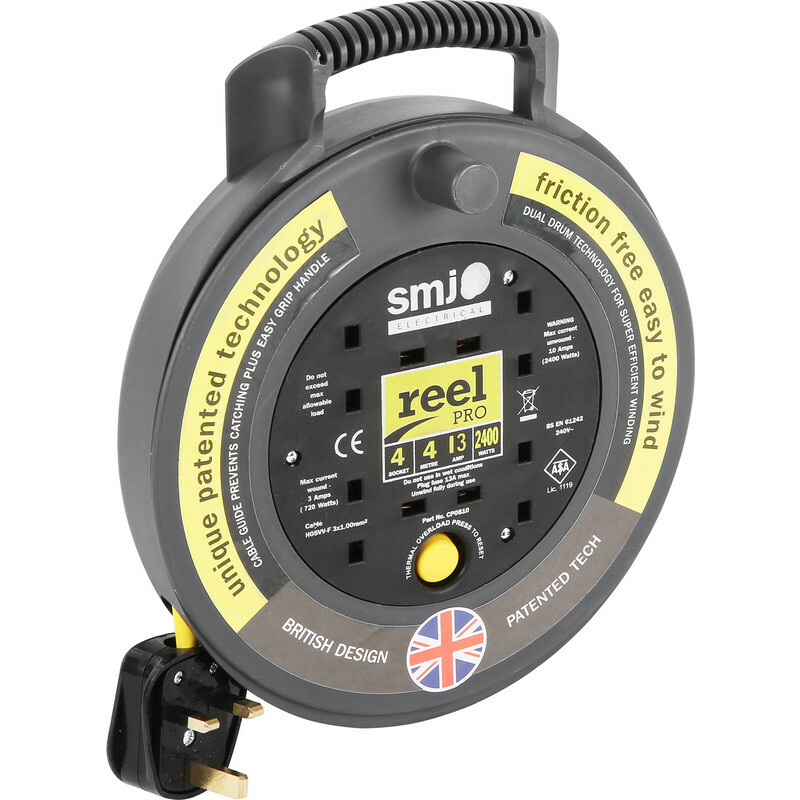 This reel is very slimline so takes up minimal space in the kit bag. The cable length quoted as 4 metres comes up a little short by around 250mm which is a shame as my exact requirement was 3.8 and I expected a bit of slack, which I now don't have! Otherwise I'm happy with it. 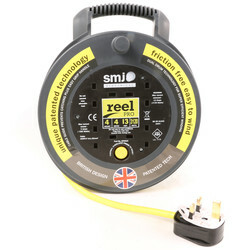 Rated 5 out of 5 by CdSystems from A big drum roll for this small drum reel The flat design of this cable reel makes it very easy to pack amongst other tech equipment and the 13A capacity makes it universally useful and versatile. Rated 5 out of 5 by Paulwmids from Cannot faukt this item. Love these and now have them at home and at our caravan.